I bought this from a European dealer in the summer. Thinking that it was cool because I have never heard about this particular piece, I picked it up and shipped here at a pretty hefty price. Upon receiving it I looked into the history of the table. 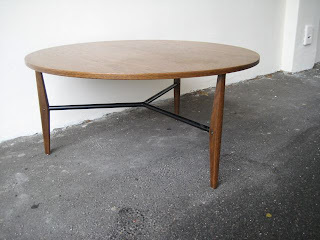 I have asked mid century dealers, specialists, the Bertoia Estate, auction house owners , and anyone in the design field for any info and have also scoured the web to no avail. All I had to go from was the copy of a catalogue page that was undated and with no title. 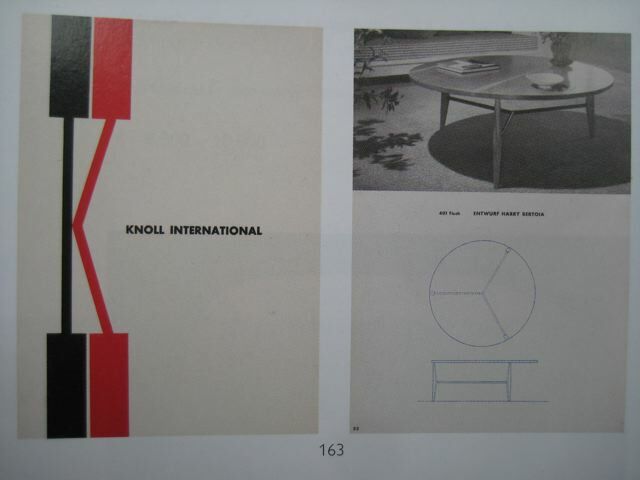 Upon further investigation, I found out that the catalogue was a German Knoll planning piece from the mid 50's as I have an original copy of the North American example. Next step was to talk to a few specialists in the field. One suggested a library search in the US in case there was a design library or arts library out there with a viewable copy. After a bit of work, it seems the copy I had found on ABE was purchased by the MET in NYC. "The Thomas J. Watson Library, the central library of The Metropolitan Museum of Art, acquires, provides access to, and preserves research materials concerning the history of art and related disciplines. The primary mission of the library is to support the research activities of the Museum staff; in addition, it serves an international community of researchers. Watson Library’s collection of books and periodicals relating to the history of art is one of the most comprehensive in the world." An incredible reference for early or rare design and the only place it seems that has this catalogue example and is viewable to boot! Relaying this information to James Zemaitis at Sotheby's in NY, he had a researcher look it up and lo and behold , the image from the catalogue! 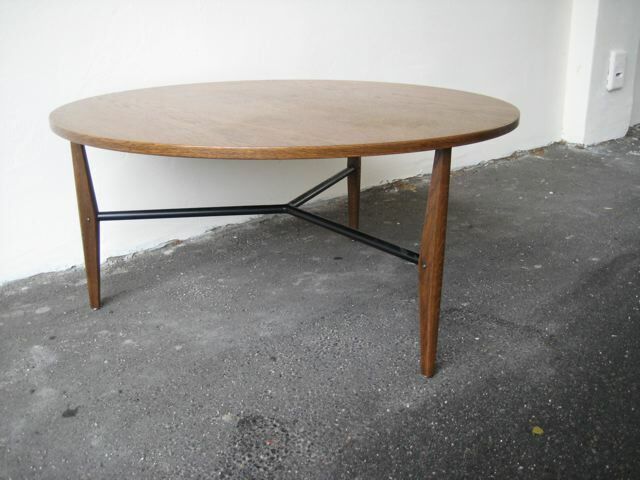 So , now I have an actual record of this piece which is rather exciting as it is still an unknown example of Harry Bertoia. Really unusual is the design of the piece.It seems as though Knoll was looking for designs that fit in the European market and obviously was looking to Jean Prouve at the time. It looks as though this table is heavily influenced by Jean Prouve's table of the period. 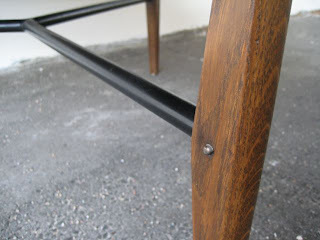 The slightly tapered geometric legs, the use of solid oak, as well as the use of metal to work with wood. 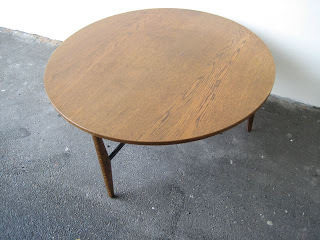 I am thinking that the table was in the catalogue to appeal to the European aesthetic and was either received rather poorly or simply didn't make it into production. The lack of any information from anywhere and this being the only known example is pretty exciting stuff. I sent this off to Sotheby's for the December Important Design sale so keep an eye on it and I will update if any further information becomes available.